Marine Dynamics Academy Discover. Protect. Educate. 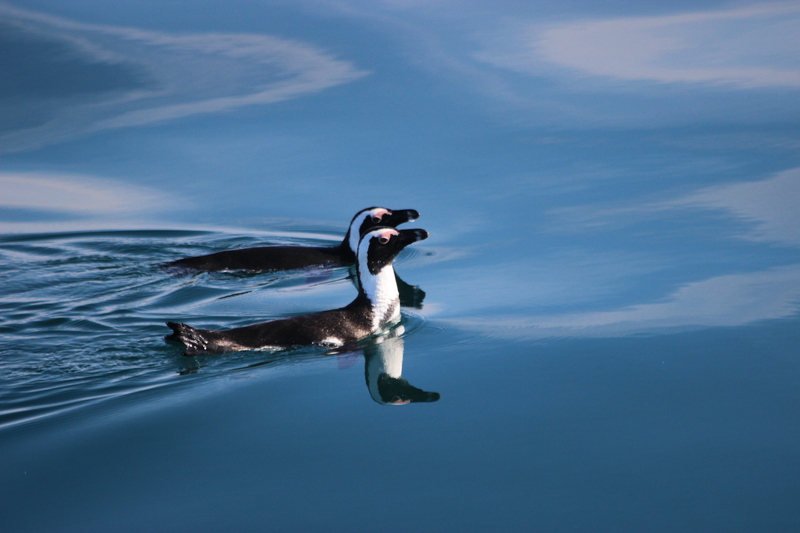 Are African Penguins Heading Towards Extinction? African penguin or old-fashioned Black-footed penguin or now politically incorrect Jackass penguins. 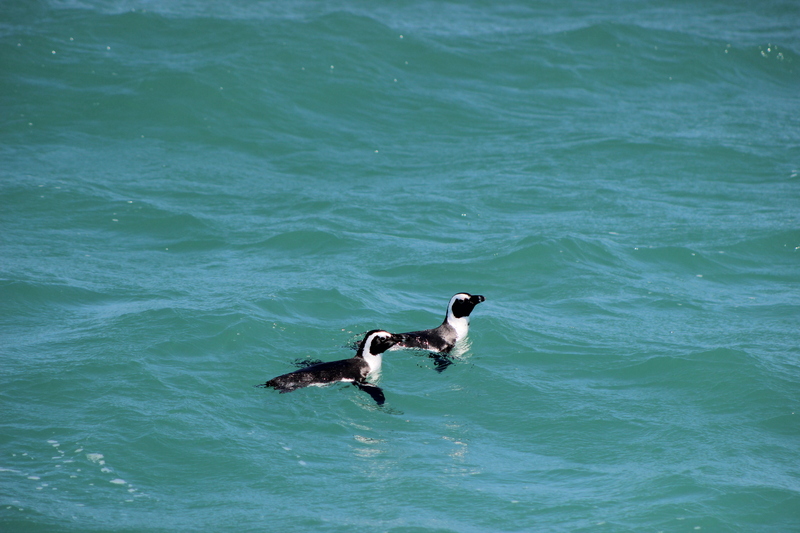 Out of all 18 species of penguins, African penguin is the only one species that can call Africa its home. You can tell them apart from other penguins (for example, the penguins of Madagascar) by their black back and feet, and a black facial mask with special pink patches above the eyes. They have a band across their chest, and each penguin can be recognised by the unique pattern of black spots on their bellies. 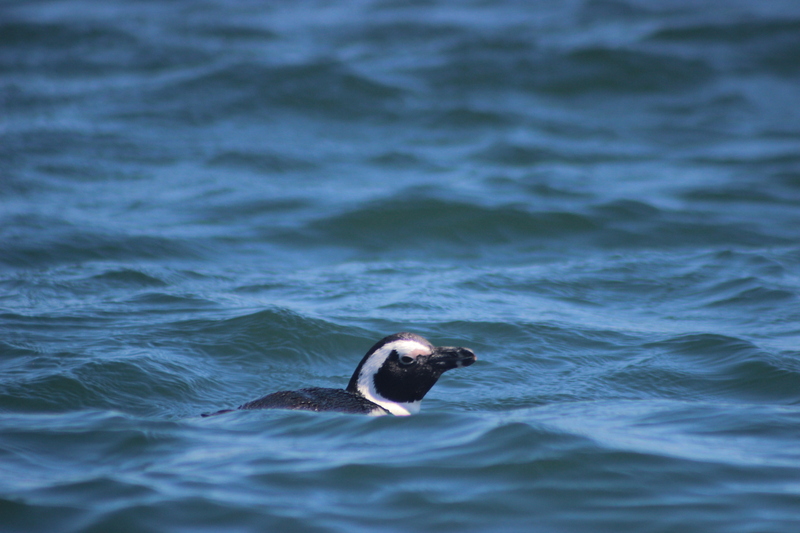 African penguins can be found in southern Africa, all the way from Namibia to South Africa. As you probably know, African penguins like any other species of penguin family are flightless, and instead of wings they are rocking a pair of flippers that come very handy (no pun intended) when diving. They are outstanding swimmers and can dive up to 130 m deep (believe it or not) to get to delicious sardines and anchovies. Once a year they change their “coat” by replacing old, worn out feathers with brand new ones, which is called moulting. During this time, they put on weight (almost 1/3 of their body weight) and stay on land until they grow a new shinny coat and are able to dive into water again. Moulting season is dependant on food availability in the area. comes back to the nest he used in previous years and defend it until his female arrives. 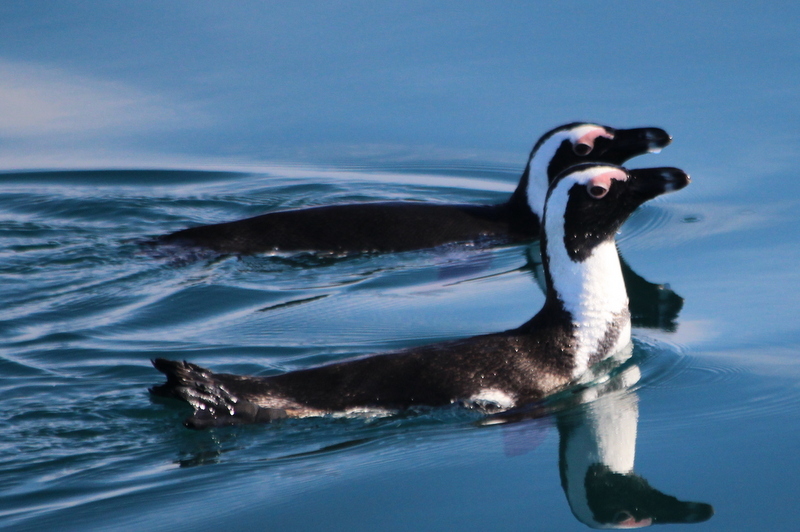 Penguins tend to stick to the same partner year after year, which makes them monogamous. Normally, African penguins would use their own droppings (which we would usually call guano) to protect their little burrows from heat, cold, and rain, but, as we usually do, we (people) scraped off the guano and sold it as fertiliser. That put our waddling friends in quite a predicament, as it became way more difficult for them to find cover on the hard, rocky plane. As of 2010, African penguin is listed as Endangered (BirdLife International, 2016) because of the massive decline in the population numbers during the 20th century (Crawford, et al., 2001); they keep falling ever since. Since guano scraping parties many other factors added on and contributed and keeps contributing to their struggles to survive as a species, affecting breeding populations. 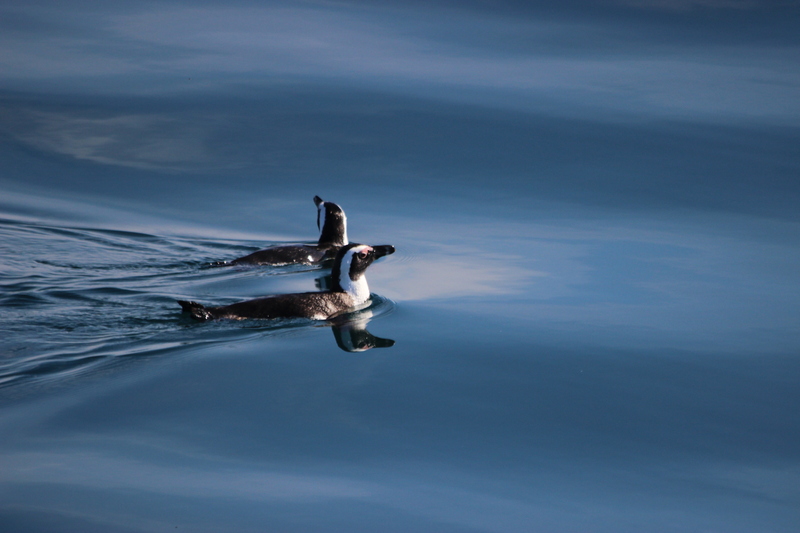 Later in the 20th century oiling and lack of food became major problems for the seabirds. Another reason for the penguins to have hard time trying to find fish to dine on is, not surprisingly, climate change, that caused geographical mismatch between penguins and their prey. In other words, to get their dinner, they have to travel longer distances or to mix up their diet a little bit with less nutritious options. Both of them lead to the penguins to be less successful during breeding periods and causes massive decrease in chances for survival. Why Bother and What to do? 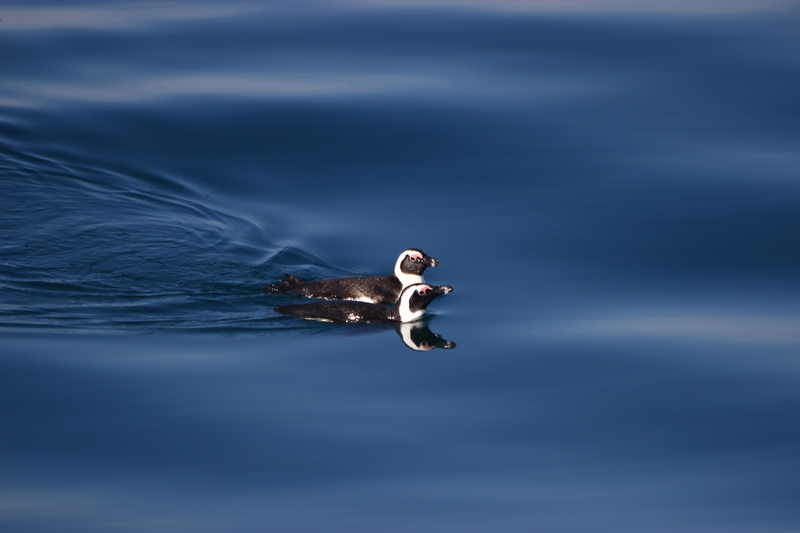 Well, besides being really charismatic animals, who we want to hang around a bit longer, penguins and other seabirds are like red flags for the health and status of marine ecosystems. For example, their eating habits can tell us a lot about the state of the environment they are in. Right now there is no sign that the declining trend is reversing, which means that if nothing is done, African penguins WILL go extinct. As I mentioned before, nesting is a bit of a trouble for the penguins at the moment due to the lack of guano and absence of vegetation at some locations, which makes the risk of predation even higher and simply exposes birds to harsh environments. Some studies showed that different breeding habitats would affect the survivorship of the birds (Borboroglu, et al., 2002). That’s exactly why we need to look into how these birds use their habitats and where in that habitat they prefer to breed and are more successful. To do that, I used one colony of African penguin, that occupy the area of Dyer Island, South Africa. By surveying them and their neighbour species, who either prey on them or compete for their food resources, we can figure out how they utilise the area and what steps can be taken to improve their position. Weekends at the Academy means Assistant Biologist Time! Marine Dynamics Academy is based in Gansbaai, South Africa, the great white shark capital of the world and home of the internationally recognised, Marine Big 5. We are part of a larger entity which has been operating in the area for over fifteen years, utilising ecotourism to further marine research and conservation goals. The overriding goal of the Marine Dynamics Academy, is to give people who love the marine environment a chance to immerse themselves within it, developing skills and experiences which they can use to enhance their own careers and life goals. Careers involving the marine environment are broad and varied. Our programs have been designed by experienced specialists who are actively involved in their field, allowing us to offer training content which is forward thinking and informed by real-world professions. © 2019 Marine Dynamics Academy. All Rights Reserved.